Rocatex Crack Matting This versatile crack isolation matting is especially suitable for laying tiles on to problematic and difficult substrates. Used in conjunction with ROCATEX rapid set flexible adhesives, the matting forms an easy to use, highly flexible, crack prevention system which combines the functions of uncoupling, waterproofing and vapour equalisation. ROCATEX Crack Matting has an installation height of approximately 3mm. 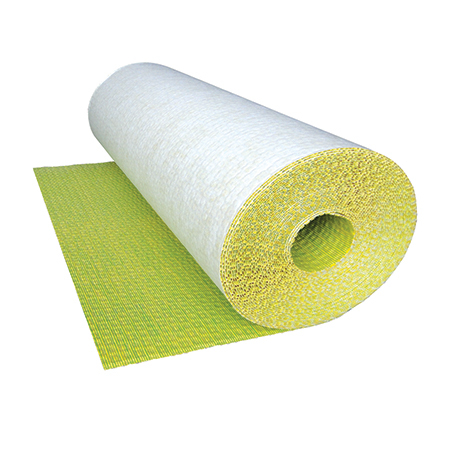 The matting is made of yellow polyethylene and is available in 15m or 30m rolls x 1m wide. The indented structure and laminated grid achieve a strong bond to tile adhesives. The material is elastic, rot proof and resistant to aggressive substances and liquids such as alkalis, solvents and oils.